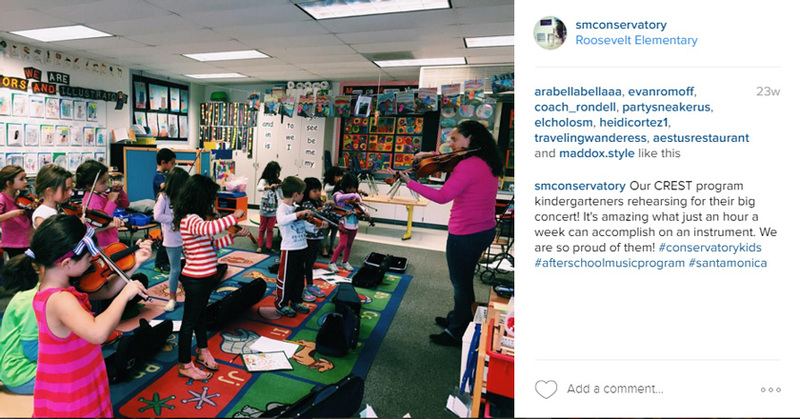 Our music teachers are proud to assist in the City of Santa Monica’s community and cultural services. This Spring and Summer, guitar instructor Matthew Purpura and violinist Raquel Ravaglioli are providing music classes at Grant Elementary, Edison Elementary, Roosevelt Elementary in Santa Monica. CREST Enrichment Programs are an easy way for parents to add more fun to their child’s day with before, after and out-of-school activities. The city of Santa Monica also offers financial assistance to local families who may not be able to afford these classes. Visit smgov.net to learn more about upcoming registration dates.